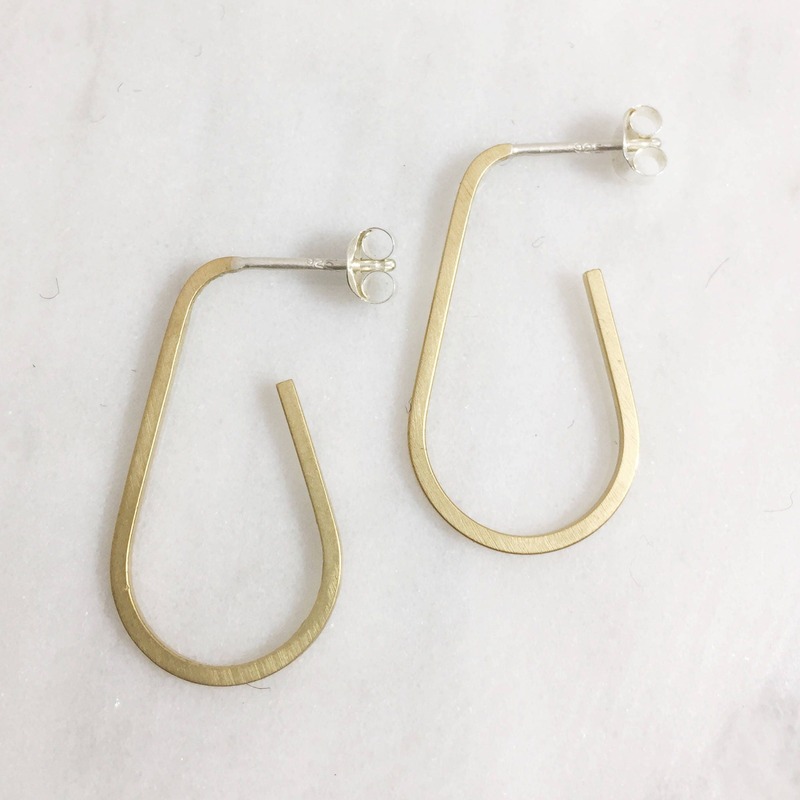 A modern take on the hoop earring. 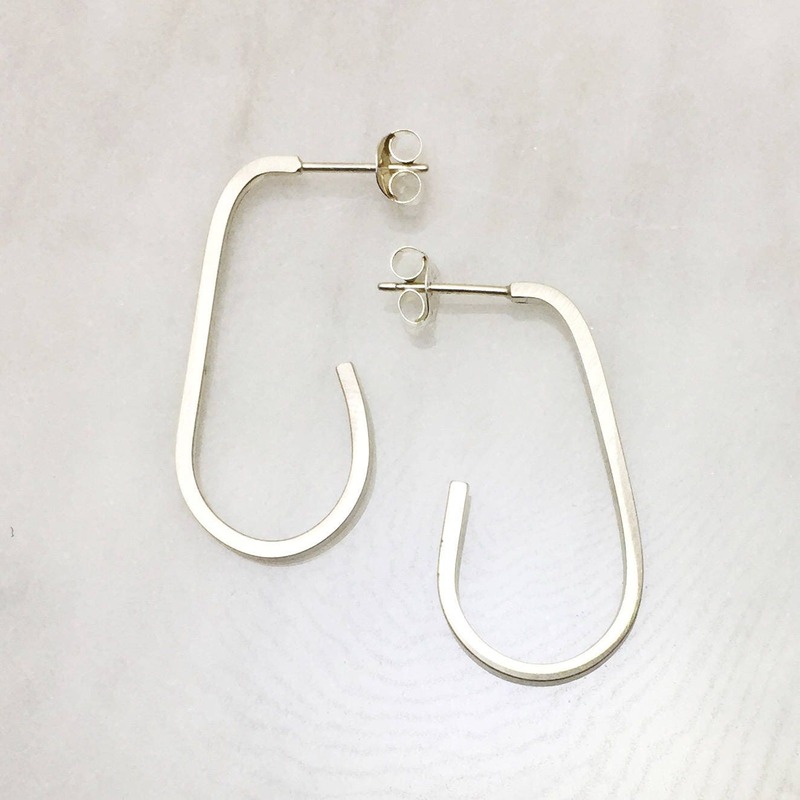 These ellipses shaped square wire post earrings are around 1.5" long. Matte finish. Choose from sterling silver or brass.